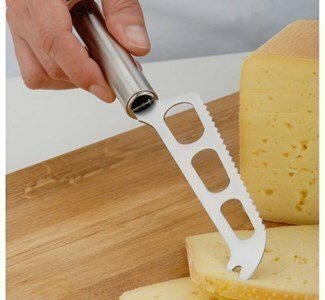 All cheeses deserve the affection of being cut by a knife specifically set up for this purpose. A knife born with a fate... a delicious fate! 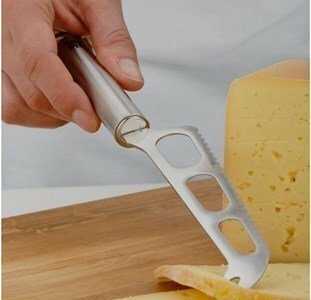 Its design with small holes is done purposefully to not offer such force when cutting cheese, in a manner and avoid that it crumbles. Adapts to any kitchen and it's an essential and timeless piece.